Essence is definitely one of my favourite affordable brands that totally delivers on quality. The majority of their range is all under $10 which is ridiculously cheap in NZ standards. 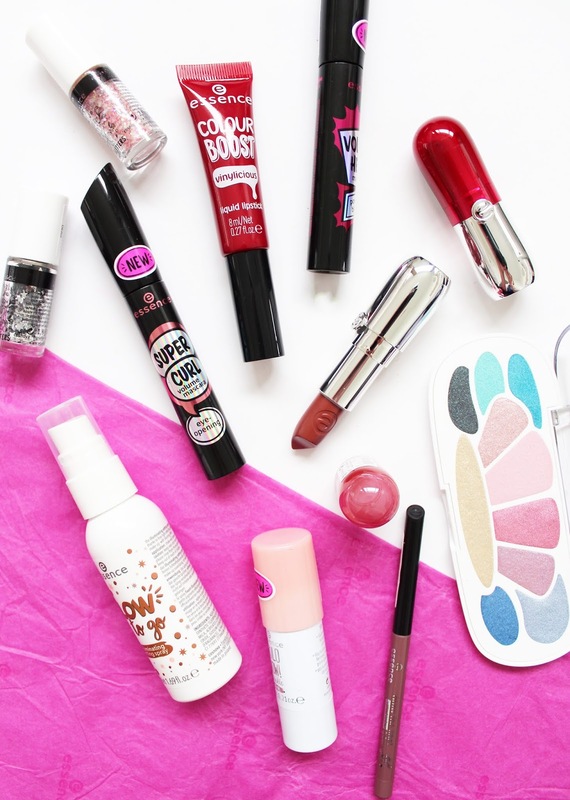 There are some standout products that I love from their core range and they are always bringing out loads of new products that are on trend, but they never last long in stores! Here are some of the new releases that have come out over the past couple of months. If you are into your glow this is one for you. This spray has light reflecting pigments infused through the liquid that really make your skin glow. The spray has a light, fine mist but for me, the glow is pretty intense. 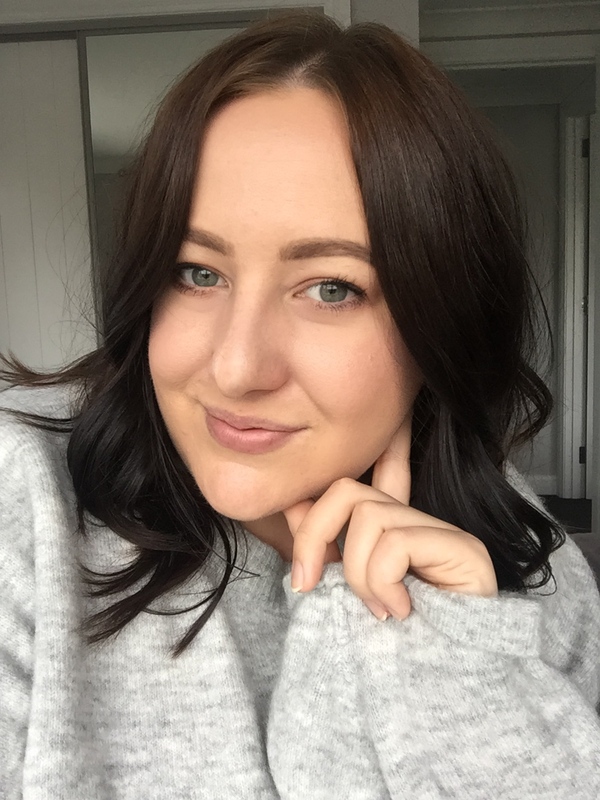 I think this works well under makeup to create a glow from within sort of look with foundation applied over top, but if you like a sheen spray this all over girlfriend! This is a cream highlighter stick that has an iridescent holographic sort of champagne/pink tone to it. It is really nice to use dotted along the high points of the cheeks and then blended in with a damp sponge to really help it melt into the skin. 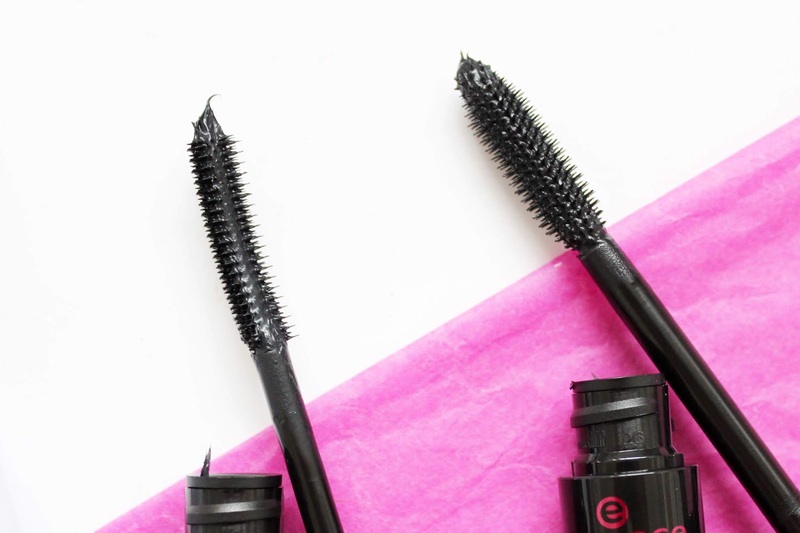 If there is one product that Essence do well, it is mascara - they always knock it out of the park and who doesn't love a super high-quality mascara for about $5?! 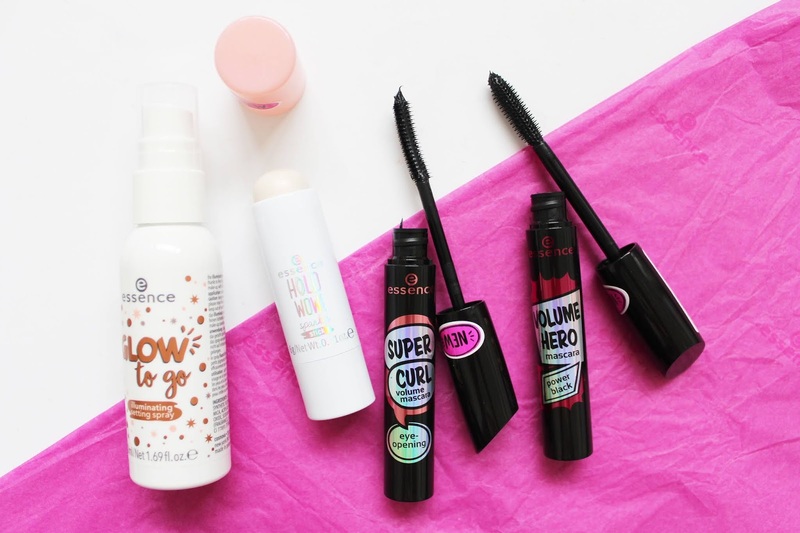 Both of these deliver in their own respects; the Super Curl reminds me a lot of Benefit's Roller Lash especially as it has a very similar wand and bristle shape. This one helps to grab the lashes and lift them. I find it gives a more separated look to the lashes. The Volume Hero has the sort of wand I like; big and thick! It gives a lot of density to the lashes while also lengthening. I haven't used this palette and ended up giving it away as straight off the bat it wasn't something that I was going to get much use from. 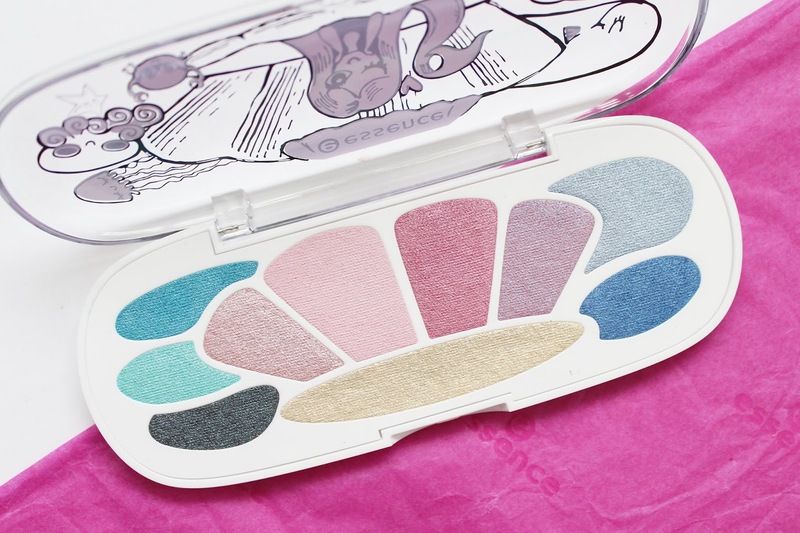 The Essence range overall is aimed at a younger audience and this would be the perfect little palette to give to someone wanting to play around with makeup. In all honesty, it does look like kids makeup. I can't speak to the quality of the shadows, but the shades aren't for me but I still wanted to share this as it may be something of interest to you. Along with the mascaras, their lip liners are also so good and so cheap (like $3-$4 cheap!) This is a new formula they've bought out that is super creamy and pigmented as you can see in the swatch. 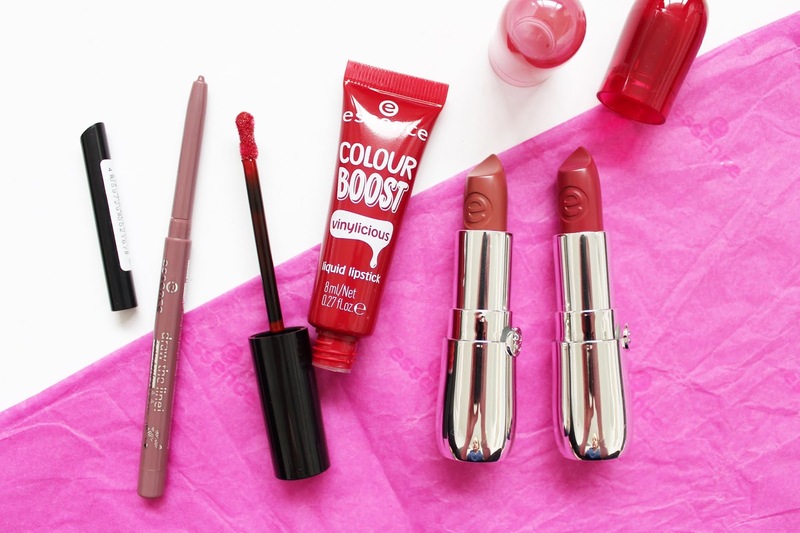 I really love the colour and the formula - I think I need to get a hold of all the shades! There are 12 shades available. This packaging is very reminiscent of the L'Oreal Paris Lip Paints that they bought out a couple of years back and it almost has a very similar formula. It has amazing pigmentation and this red colour is a true, juicy red. It is more of a lacquer/high shine finish and doesn't dry down so will transfer a lot. The pigment does stain the lips a bit though so it wears off evenly. There are 10 shades available. 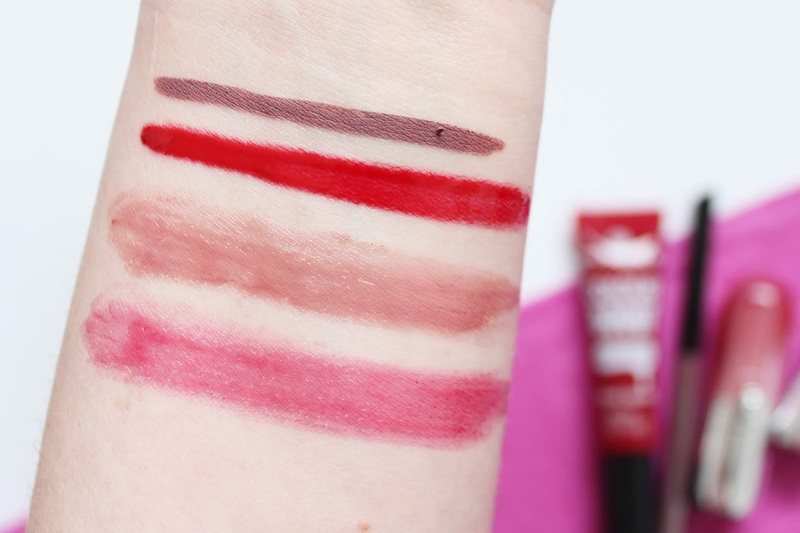 These lipsticks are more on the sheer side with a creamy and light texture to them. The formula is fuss-free and easy to apply on the go. They have 12 shades available. 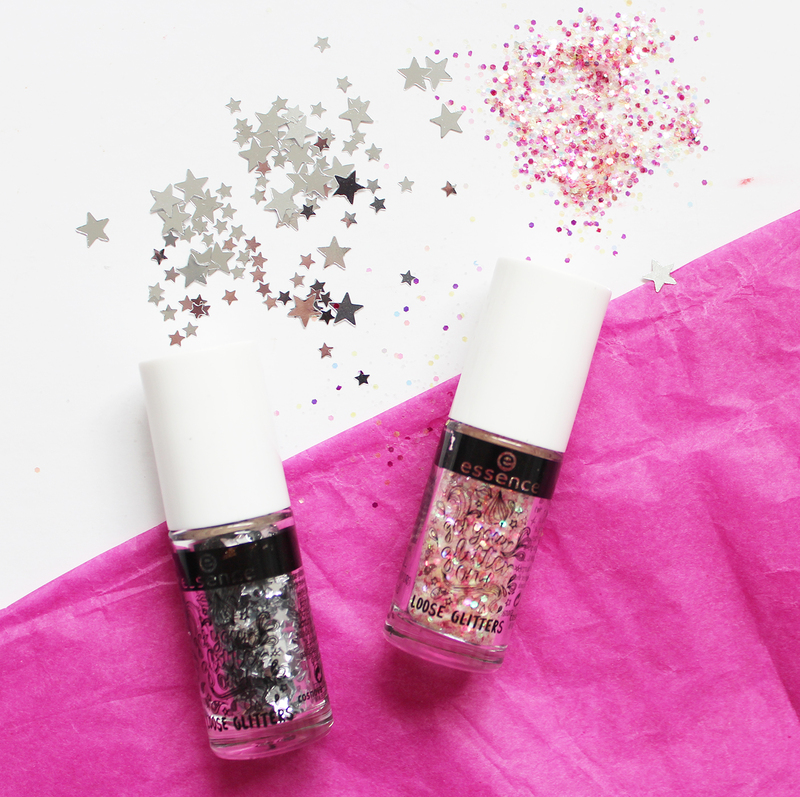 Glitters for the face and body are so on trend at the moment and these little pots are perfect to use for festivals and parties without breaking the bank. There are six different variations of glitter available and also a Glitter Primer to help adhere this to your skin. Essence can be found at selected Farmers department stores here in NZ with a full list of stores here. They are of course available internationally too, with many stockists worldwide. It's such a great affordable brand to get super on-trend products. Have you tried much from Essence?